Ms. Gangi joined Englander Fischer’s business litigation team and practices commercial litigation and contract disputes. 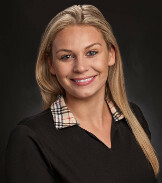 Ms. Gangi originally came to the firm as a law clerk during her second year of law school at Stetson. After working for over a year with attorneys and partners in the business litigation department, Ms. Gangi officially started as an associate in the fall of 2017. Ms. Gangi received her degree from Stetson University College of Law and was a Senior Associate on Stetson Law Review. She also attended the University of South Florida and received a bachelor’s degree in both mass communications and political science.